Acknowledging the extra burdens that Jordan’s healthcare system faces as a result of the arrival of thousands of citizens from Syria, Elekta has pledged to donate a radiation therapy system (linear accelerator) to Al Bashir Hospital in Amman, Jordan. The linear accelerator – to be delivered later this year – will reinforce Jordan’s ability to care for its citizens and for refugees who have or will develop cancer in the coming years. The IAEA, through its Programme of Action for Cancer Therapy (PACT), has helped facilitate the donation, which will complement the long-standing efforts of the IAEA to support Jordan in improving access to quality cancer treatment. “On behalf of the Government of Jordan, I wish to express our sincere thanks and gratitude to Elekta for this responsible act of generosity and humanity,” says Mr. Hussam AlHusseini, Ambassador of The Hashemite Kingdom of Jordan to The Republic of Austria. 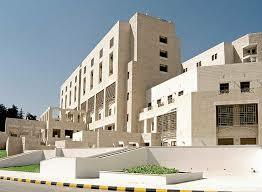 Elekta to donate advanced radiation therapy machine to Jordan’s Al Bashir Hospital. Appl Rad Oncol.